This was a great wedding at Shutters on the Beach in Santa Monica. 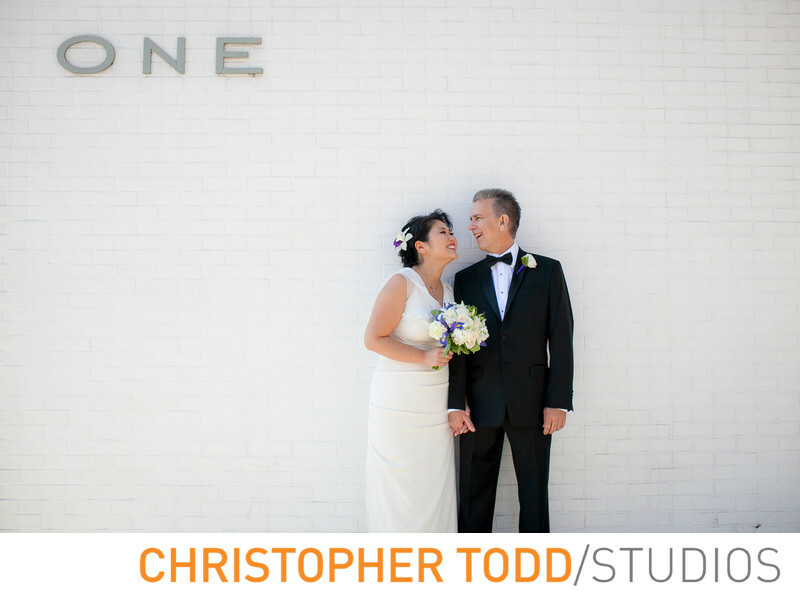 One of my favorite portraits from the wedding day was of the bride and groom up against this white brick wall at the hotel. Location: Santa Monica State Beach, 1 Pico Blvd, Santa Monica, CA . 1/500; f/3.5; ISO 100; 35.0 mm.